Yesterday turned out to be another icy day….but I just had to get out to try my DIY rechipped Sigma f8 mirror lens, so I headed out to Star hill as usual. It was so cold that inspite of wearing several layers of clothes sweaters, a jacket gloves, thermal inners and a cap, I was still feeling cold. The forecast said that the coldsnap would be over today and the temperature was expected to go up to about 7oC, but that was not happening just yet. The pond had frozen earlier, but now it was thick as could be and the whole thing was covered with a layer of white frost. 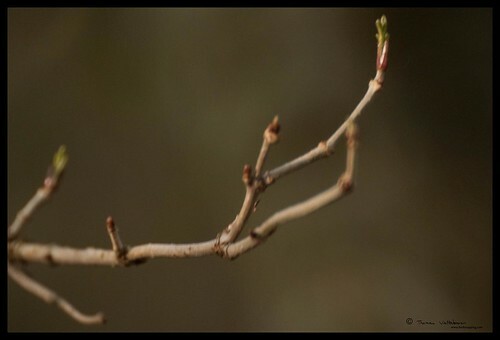 However, when I went into the undergrowth I was surprised to note that some of the trees were already sprouting leaves! Weird winter! While on the hill, I noticed a bustle of activity. 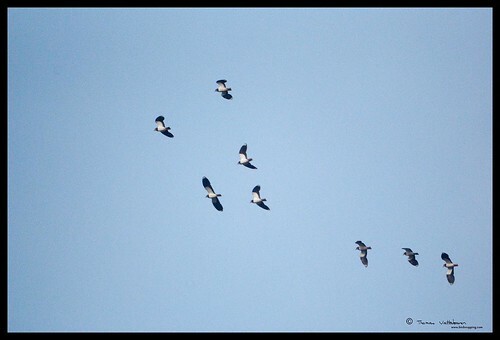 I managed to identify these lapwings in flight over the hill. I soon came across flashes of white grey and mauve. I thought it was some bird that I hadn’t seen so far. 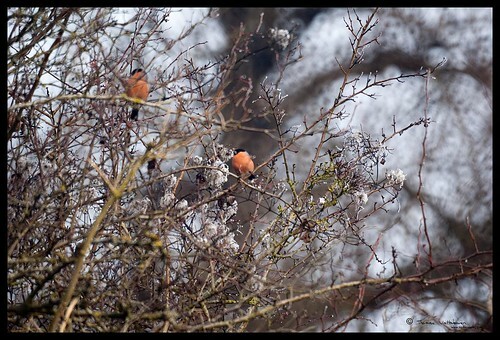 They were quite a distance away from me and when I looked through my lens, I noticed they were Bullfinches. 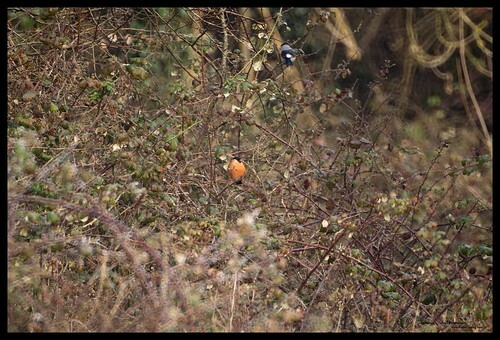 I had seen bullfinches on Star hill earlier, but I had imagined them to be quite larger than the average finch. These however seemed to be small. Also, this is the first time I`m seeing so many of them together. I counted at least 9 of them. 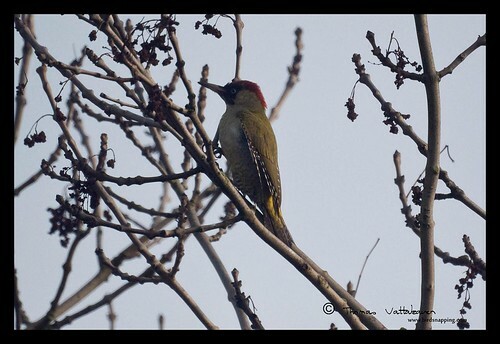 On my way, i had surprised a green woodpecker which was sitting on the cycle path and had kicked myself for not being more alert. However, as I headed down the hill this fellow surprised me by flying straight into the tree ahead of me. 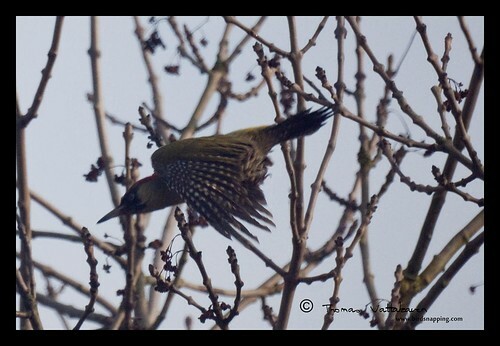 It sat concealed in the branches for a while before clambering up to expose itself fully for a few good shots…. …before deciding to head to a better location. 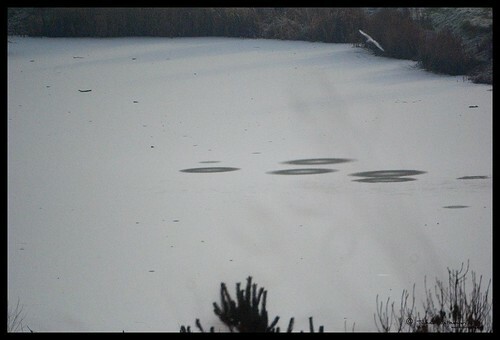 I had to go check out the frozen Duchess pond again. There were a few coots walking on the ice. 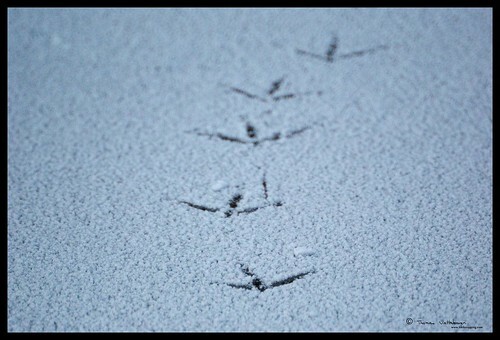 There were quite a few tracks left in the frost on the ice….some of them were those of human shoe prints, testing the strength of the ice…but most were bird tracks, I suppose a coot or a moorhen left this one. 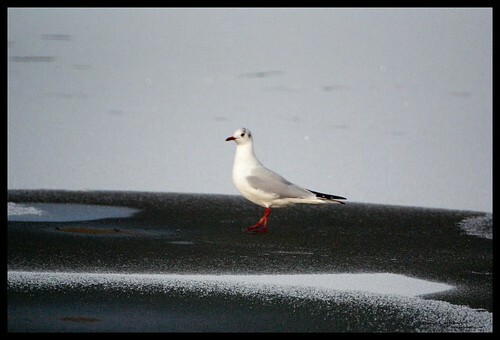 The middle of the pond had a few puddles of unfrozen water, and as I was standing there, this black headed gull landed there to drink a few gulps of water. 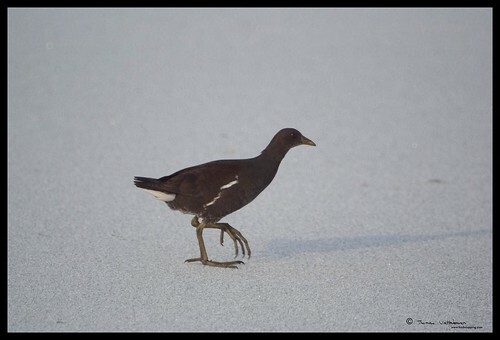 Finally, I clicked this moorhen who appears to have starred in my last post. 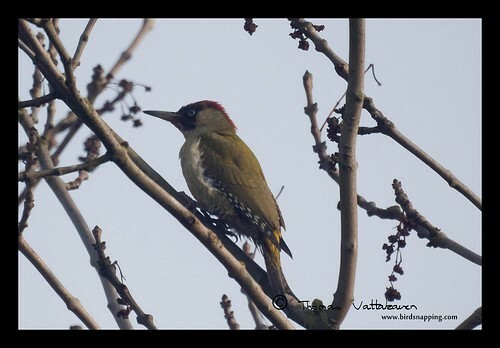 All the above pics except those of the woodpecker were taken with my DIY re-chipped Sigma 600mm F8 mirror lens in Aperture priority mode. The pictures turned out alright but not great. 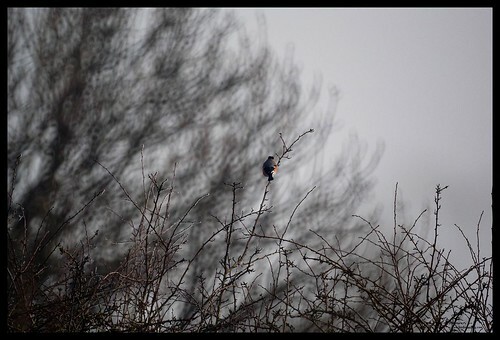 I think it isn't as sharp as my Minolta 500mm reflex lens. I guess the dull day also had a say in the pics. I have more pictures taken with the Sigma which I hope to post soon enough.